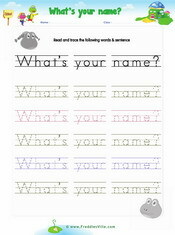 These worksheets relate to vocabulary, grammar and sentences related to self-introduction and giving information about oneself. 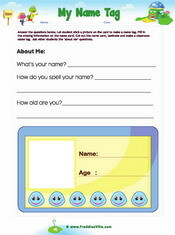 You will find worksheets on telling someone about your name and age. 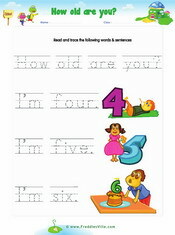 How old are you, I'm six. My name is Bob, My name is Freddie, My name is Lisa.